 Learn how to design intuitive chatbots and voice interfaces. There's an amazing opportunity to advance humanity by designing and developing technology that understands us better. Conversational interfaces, like chatbots and voice-first devices, help extend a product's reach and grow a brand. There's a wide array of conversational opportunities: marketing, commerce, customer support, consumer apps, and enterprise apps. The workshop will demystify how machines understand humans and how you can create intuitive interfaces that anticipate users' needs. You'll gain a foundational knowledge of conversational design principles and hands-on experience implementing a conversational design process. This workshop is for designers, UX professionals, copywriters, content strategists, and product people who want to understand how to make their interfaces more intuitive through conversational design. A basic understanding of interface design and web technology is strongly recommended, but no programming knowledge is required. In addition to a full day of instruction and activities, you'll receive a printed version of Voxable's Conversational Playbook. This comprehensive workbook includes the conversational principles and exercises covered in the workshop. Reserve your spot by purchasing tickets on EventsFrame. Voxable is hosting this workshop at TCEA Conference Center in Austin, TX. There is ample parking at the venue. Lunch and refreshments will be provided. 🚩Please note: Voxable will record this workshop for educational purposes. If you decide to attend, we request you sign a photo and video release form at registration. If you have concerns or would like to inquire about the workshop, email us at workshop@voxable.io and a member of our team will respond as soon as possible. Lauren's personal mission is to bring more designers, writers, and UX practitioners into a conversational design discipline. She believes conversational interfaces and platforms have yet to reach their full potential and designers have a huge opportunity to address users' needs better through conversational design. As CEO and Co-founder, Lauren leads Voxable's conversational design services which include everything from helping large enterprises develop their conversational strategies to supporting smaller teams implementing their first chatbots and voice interfaces. 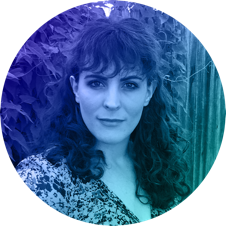 She regularly writes, speaks, and facilitates workshops about conversational design. If you have questions about the workshop, email us at workshop@voxable.io and and a member of our team will respond as soon as possible. 🤔 Is your team creating a chatbot or voice interface? Regardless of what phase of the process you're in, Voxable offers custom workshops tailored to your unique needs and use case! Contact us for more information.